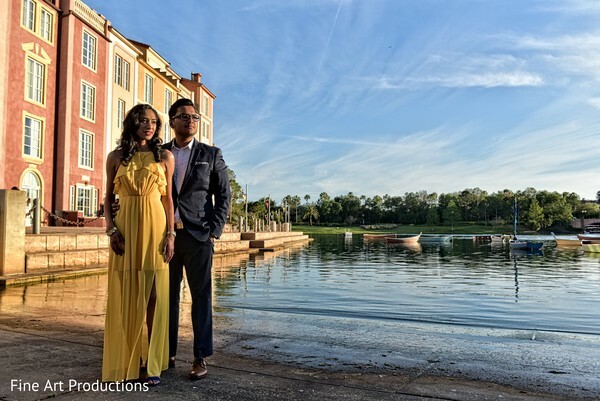 Good Morning ladies! 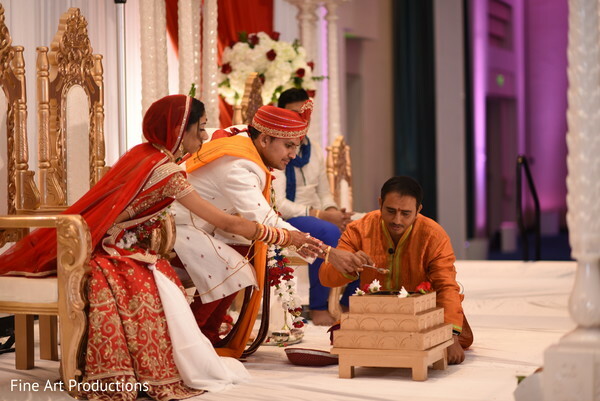 The amazing images of Fine Art Productions narrate the amazing events that were part of Neha and Hemang’s nuptials. 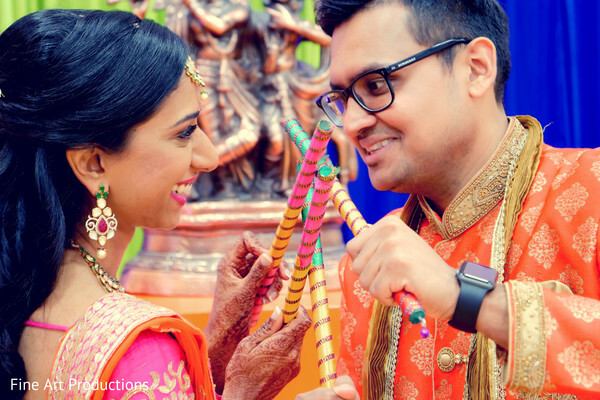 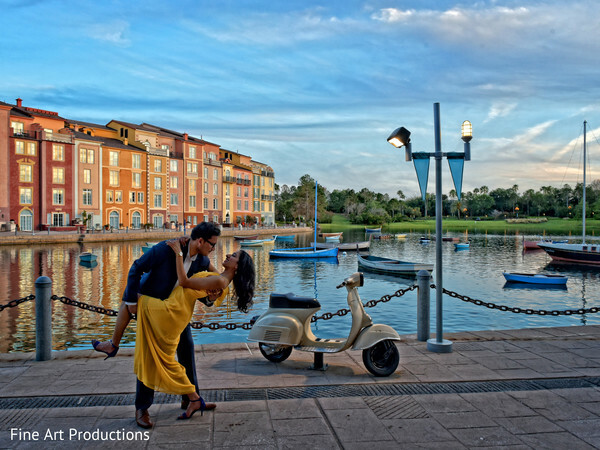 The skillful photo team captured and filmed these perfect Indian soulmates in a romantic highlight video and also snapped them during their colorful sangeet celebration. 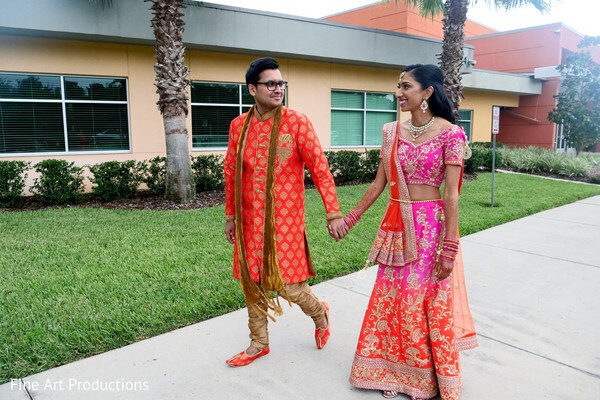 The much-anticipated wedding day arrived and the charming groom Hemang reached the entrance of the Hyatt Regency Grand Cypress shinning in a white embroidered sherwani while riding a decorated white horse from Orlando Horse and Carriage. 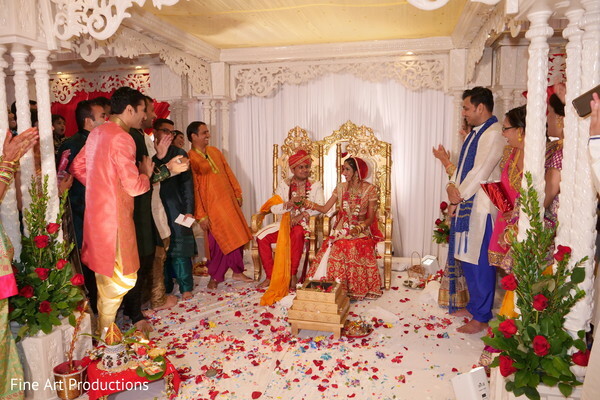 The solemn ceremony took place at a fascinating mandap stage created by the expert décor team of Myar Decor. 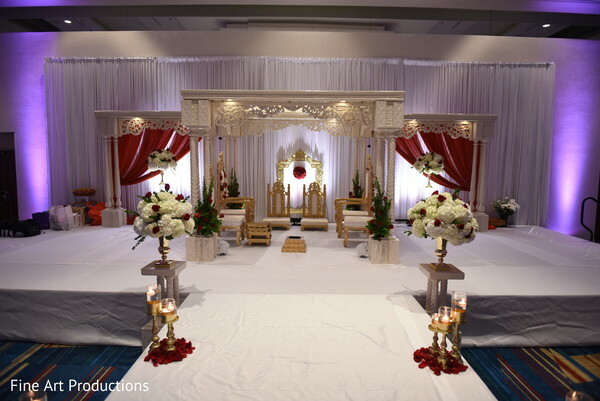 The white carved structure combined with a pristine drapery gave an astoundingly beautiful look to the heart of the marriage scene. 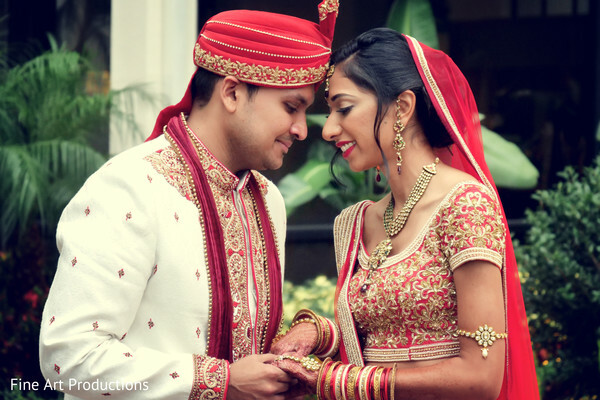 In this lovely spot, Maharani Neha showed off a unique customized red lehenga created by Binari Art. 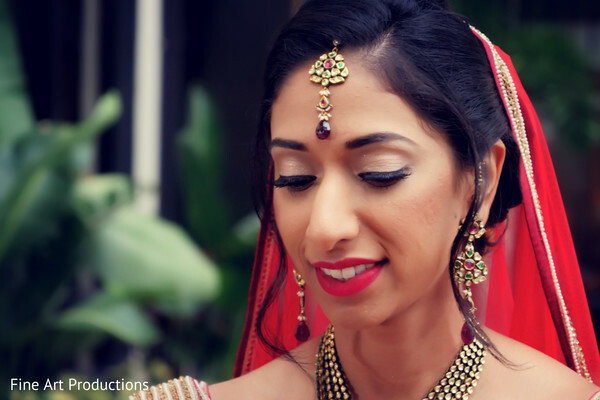 The alluring attire was beautifully completed with a soft makeup look by Debra’s Do’s and Makeup Too, which enhanced her already beautiful features! 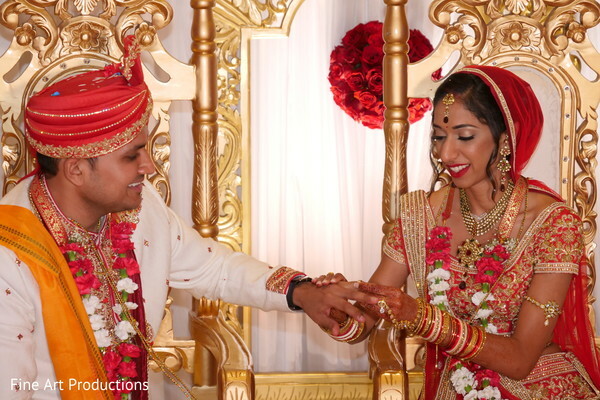 Check out the fantastic imagery of this special day in our gallery! 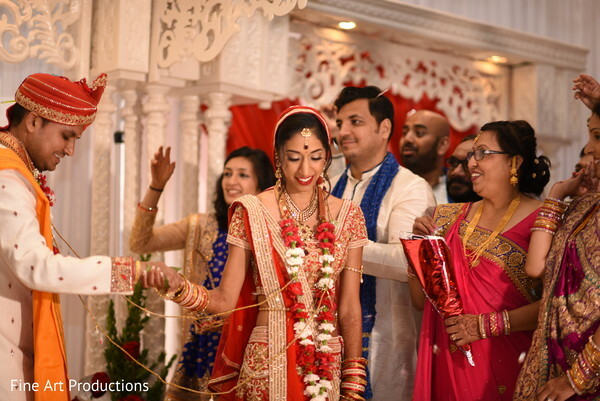 One of the biggest parts of the wedding timeline is coming up next! 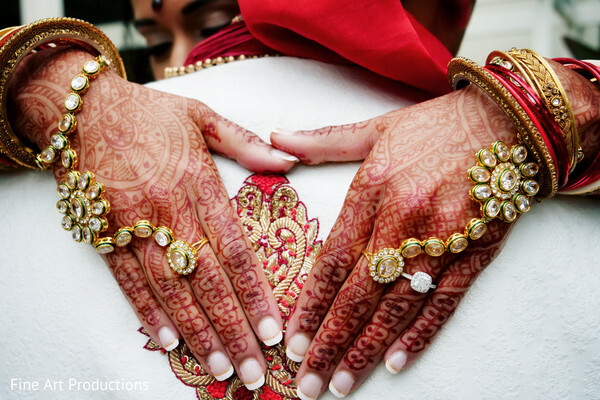 Make sure to take a look at our following feature.